We recommend both, long term, and as soon as possible. Facebook is free to setup, easy to setup, has all the standard tools for marketing to their captive audience. Captive being the key word here. Facebook have cleverly designed their systems to keep everyone on Facebook, unless you start paying to send them out through their Ad system. There are ways, but you may find it frustrating, or hard to deliver the message the way you want. 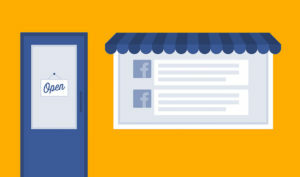 But Facebook is where all the social networking happens, it is a great place for viral marketing. With your website, think of it as a portal to your brand. A website on your domain name shows you are committed and own that space. You can build it exactly how you want and market how you want, and send your traffic where ever you want. Started selling on Amazon, great, send people there, or a Partners website to pick up a great deal, or Facebook to Follow you. Collect personal information on your website, that you can now use to better understand your customers, like email address, physical locations, birthdays.